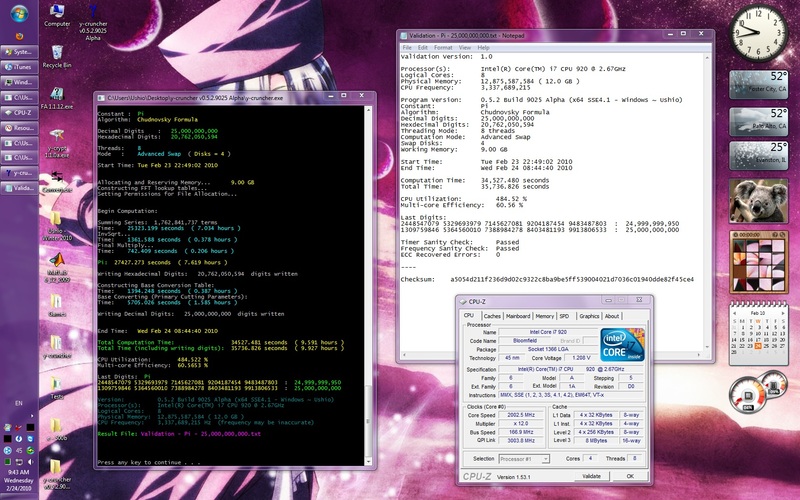 1.315 hours v0.5.5 x64 AVX Hina Windows Ram Only Ben Miles 2 Intel Xeon E5-2687W Sandy Bridge-EP 3.10 GHz 128 GB DDR3-? 3.275 hours v0.5.5 x64 AVX Hina Windows Basic Swap Andreas Ebert 1 Intel Core i7-3930K 3.20 GHz 64 GB DDR3-? ? 4.292 hours v0.4.3 x64 SSE4.1 Ushio Windows Basic Swap Shigeru Kondo 2 Intel Xeon W5590 Gainestown 3.33 GHz 72 GB DDR3-ECC ? 6.320 hours v0.5.5 x64 SSE3 Kasumi Windows AS 28.6 GB Craig Blanckenberg 4 AMD Opteron 8435 2.61 GHz 32 GB ? 7.444 hours v0.6.9 x64 AVX2 Airi Windows Swap 25.6 GB yoyo 1 Intel Core i7 6700K 4.0 GHz 16 GB DDR4 ? 14.234 hours v0.6.9 x64 AVX2 Airi Windows Swap 13 GB yoyo 1 Intel Core i5 4590 3.3 GHz 16 GB DDR3 ? 14.254 hours v0.5.3 x64 SSE3 Kasumi Windows AS 29.6 GB skycrane XS 4 AMD Opteron 8356 Barcelona 2.31 GHz 32 GB DDR2-ECC ?